Shalom, my name is Sylvia Lahoma Miller. I joined the eth-CEPHER team in April of 2017, undertaking an exciting new project. Allow me to share a little bit about myself, in January of 2009, I moved from Utah, where I was born to Yucatan, Mexico. I had been taught Spanish as a child, so recovering the language and learning to speak fluently came quickly for me. While in Yucatan, I became aware of the need for an English language newspaper and in December of 2010 I launched The Yucatan Times, translating news articles for the international community that resides there. When I first began, I knew very little about Yucatan and nothing about the upcoming 2012 Mayan doomsday (hollywood) prediction, which would bring all eyes to Yucatan that December. Over time, the newspaper evolved into a voice piece for the villagers who previously had none due to the oppression of poverty, lack of skills and language barriers. Monsanto at the time was attempting a complete takeover of the peninsula’s corn production and was doing so covertly. Overnight they exterminated 18 million colonies of the regions native and nearly extinct mellipona honeybees with a covert spraying of lethal pesticides. I became infuriated and my newspaper exploded to all regions of the globe as I zealously wrote and wrote about the injustices being done. At the same time China’s dragon rose up from the sea as DragonMart attempted to build their massive industrial complex directly on top of the most important mangroves in the region! It would have devastated all aspects of life for the entire country, plunging them even deeper into poverty than they already were. Again, the villagers had no voice that could reach those who could put a stop to this. So, my fingers went to clicking my keyboard, it was all that I could do. It took many years, but eventually both evils were put to a stop by those who picked up the news and put an end to these crimes. Needless to say, I became proficient in writing and translation. However, I didn’t feel as if I was totally serving YAHUAH like I wanted. I decided that when the newspaper sold, I would not publish my writings again unless it was completely for my Father above. I hated that I was required to use my skills for advertising so that I could make money to feed my children and keep a roof over our heads. I detested writing ads. We stayed in poverty throughout the years in Mexico and only at the end did I finally begin to make a profit. More money meant very little to me then, because I had just found YAHUAH’s set apart feast days and my heart longed to gather with my brothers and sisters. I yearned to find sanctuary from the battles I had been through, way more than I cared about making money. At Cukkoth of 2013 YAHUAH did just that for me. My newspaper sold all in one day, the day before Cukkoth. The first day of Cukkoth I was flying to my beloved mountains in Montana, on eagles wings; a 747. I was so happy and enjoyed a most memorable gathering. I settled in Eureka and found shelter with my adopted family. Here, I would meet my eternal love and dear husband, Jesse Miller, my Yishai. Again all in one day, at the beginning of Cukkoth, I was whisked off my mountain and shortly after was married to Yishai in Kansas on October 17th of that year. We entered into an incredible journey which took us to Florida, Tennessee, Missouri and then back to Eureka. Exactly one year from me leaving, we arrived in Montana and yes, it was just in time for Cukkoth again. Desperate for work, we did our best to prepare for what has come to be known as the winter-pocalypse of 2016 and it was coming in rapidly. At the time we were living out of our little 1960’s Scout camper that we had just traveled the USA in. Cutest little thing ever, but unfortunately not set up for the extreme winters we experience here. The plans for our home, work, everything had fallen to pieces shortly after we had arrived and all of our savings were spent. We ended up having to spend many thousands more than we had anticipated on vehicle problems along the way. Some friends helped us get into a little apartment, and we moved in just in time for winter. Yishai had to take work at the corner gas station and we spent some time volunteering at the local thrift store through the winter. In April at Passover time, we met the eth-CEPHER team working in Eureka, Penny and David Castro. 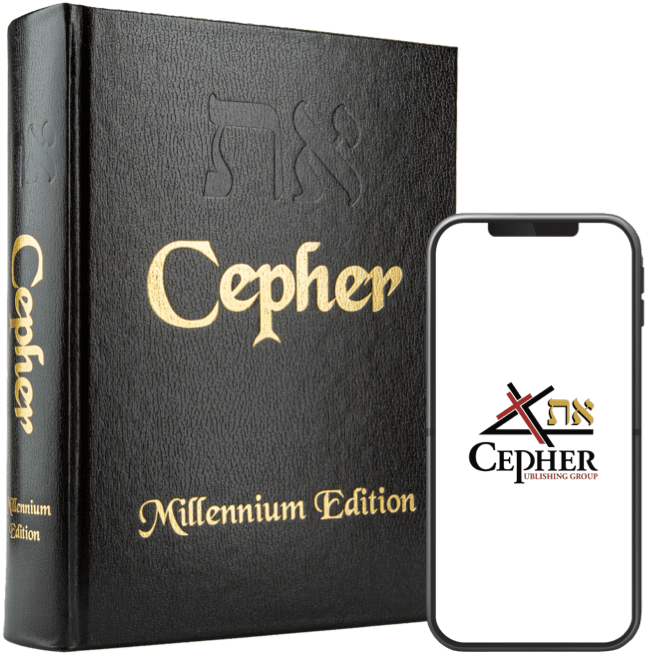 Yishai began working in distribution and customer service and I started the Spanish translation of the eth-CEPHER. Shalom and until we meet again, may YAHUAH keep you in the palm of His hand. You can contact me by email at sylvia@cepher.net or through my Facebook page here.